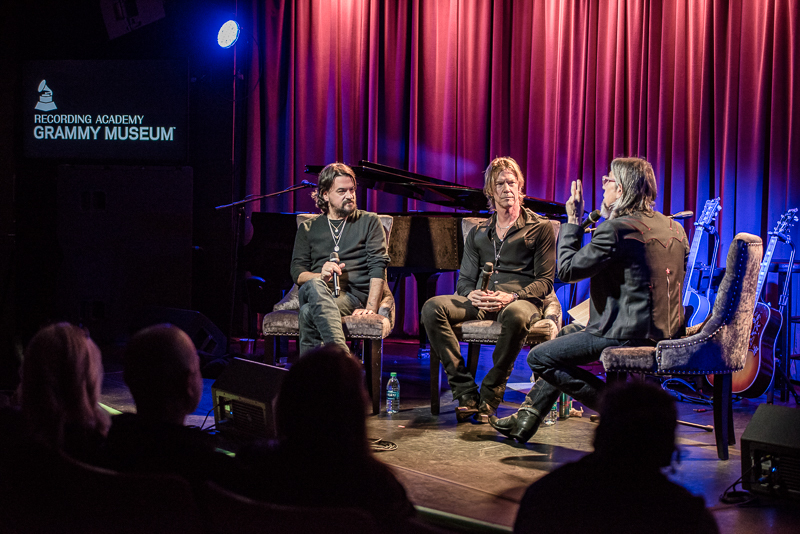 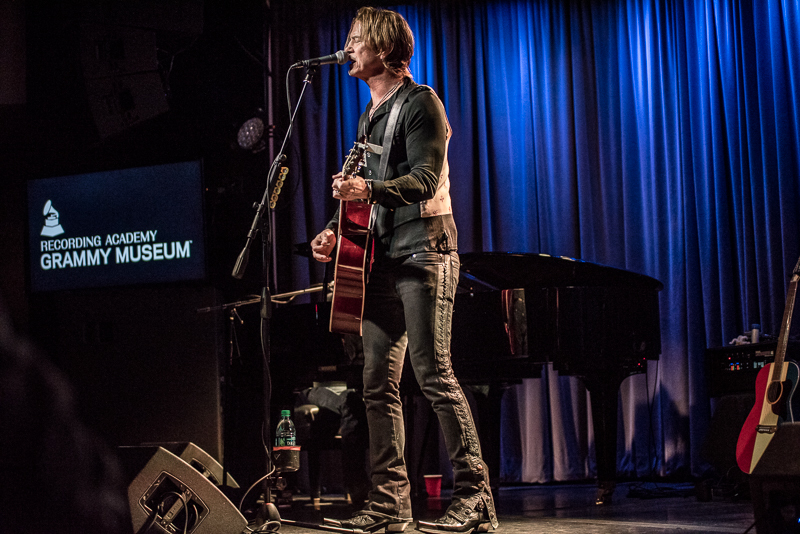 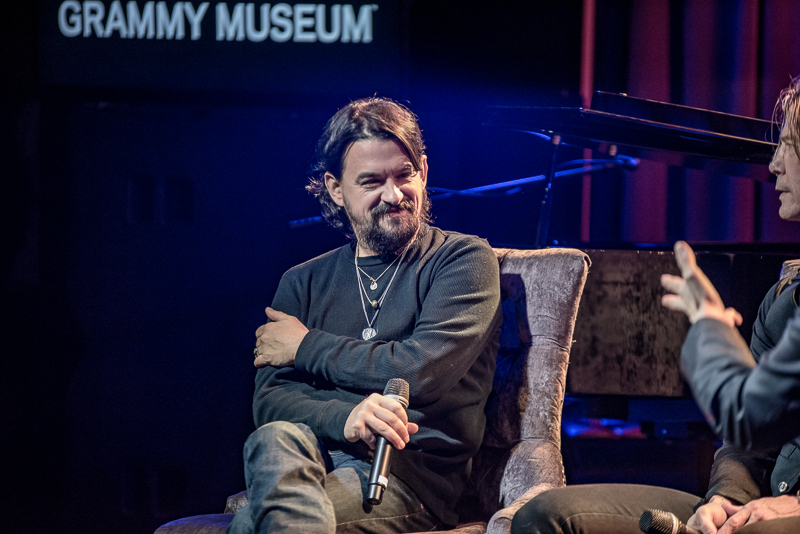 Duff McKagan & Shooter Jennings sat down for an intimate show and interview at The Grammy Museum in Los Angeles the night of April 4th. 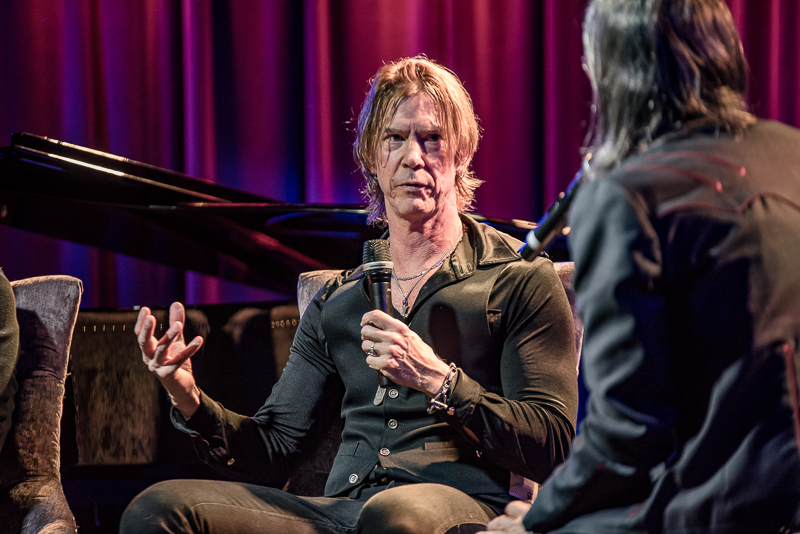 During the interview, McKagan discussed his viewpoints on addiction, school shootings and various other hot topics. 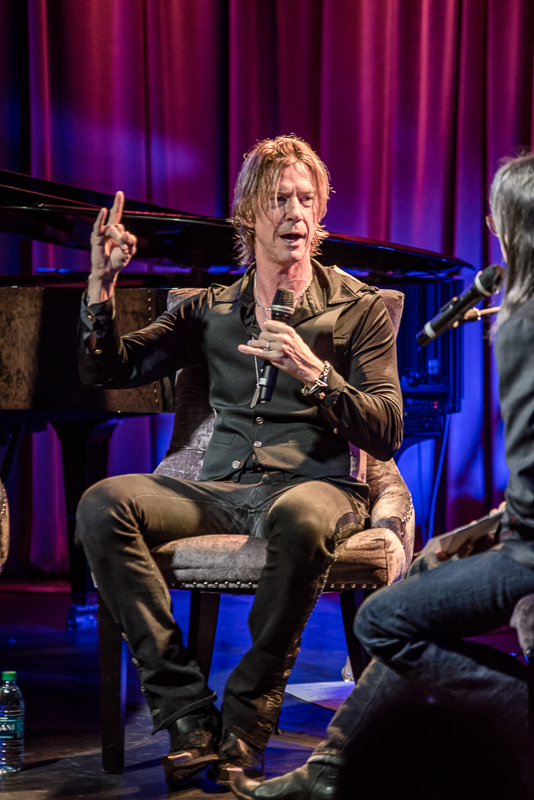 Jennings, who worked on McKagan’s album as a producer, also supported the artist during his set by playing the piano. 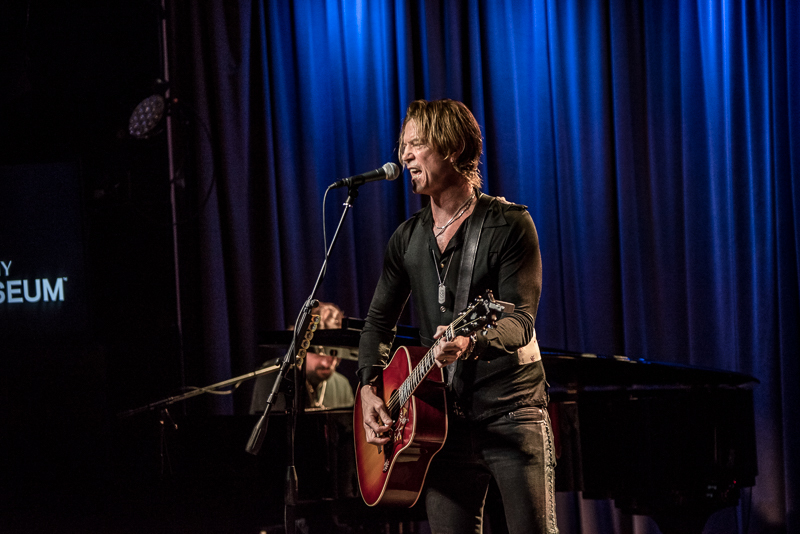 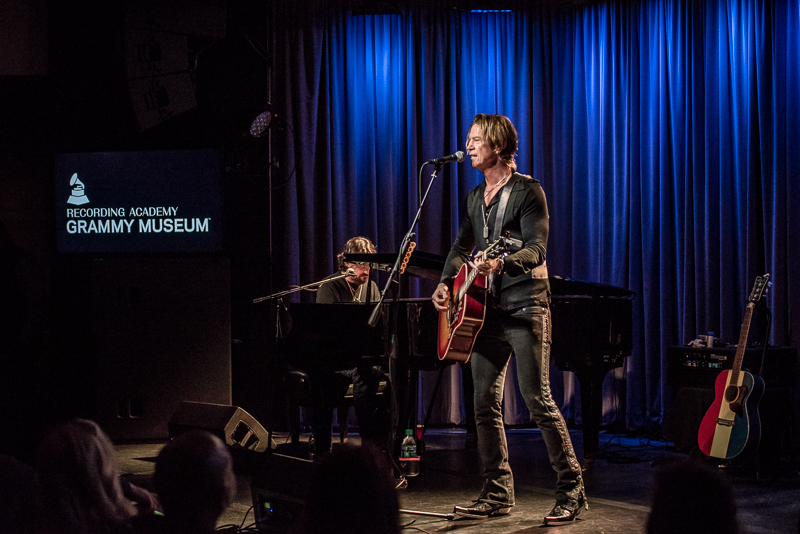 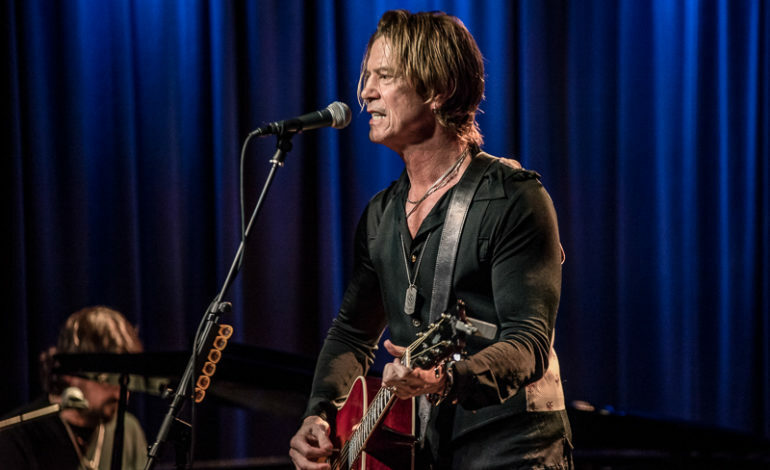 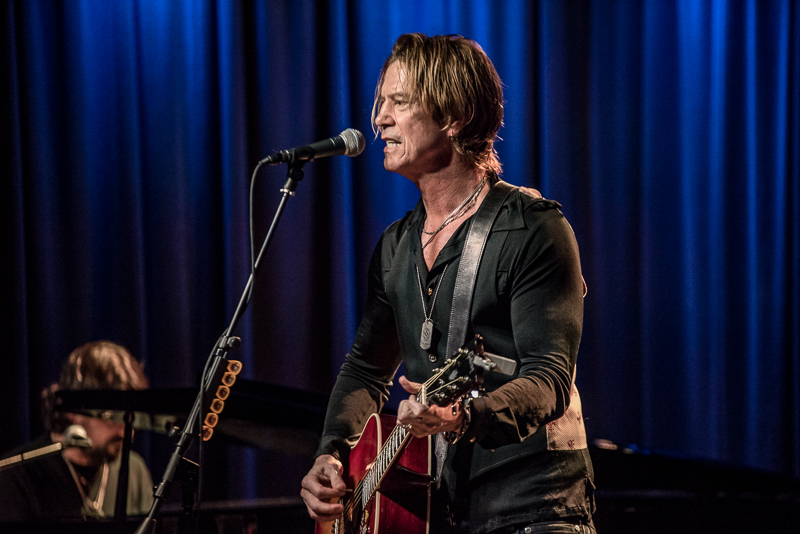 The set was a short acoustic performance, featuring two of McKagan’s favorite songs off of his new album Tenderness. 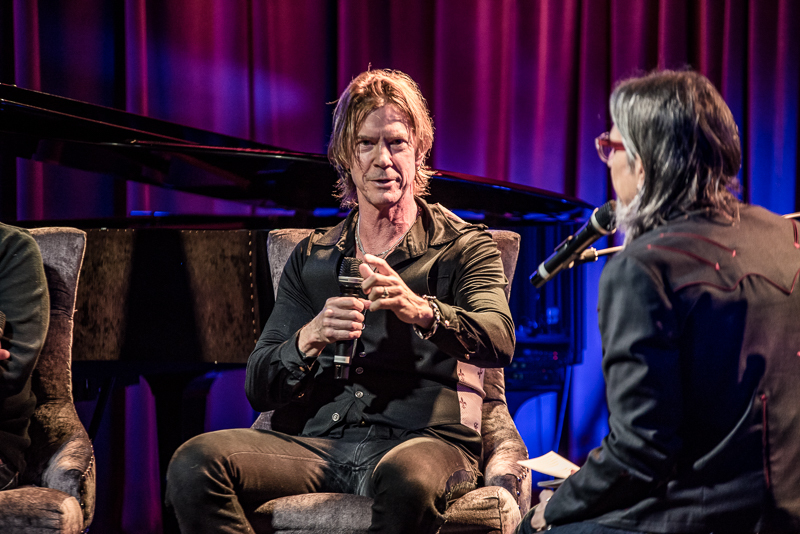 Duff McKagan, at the end of the concert, showed how much he appreciates his fans and supporters by having a stack of signed posters. 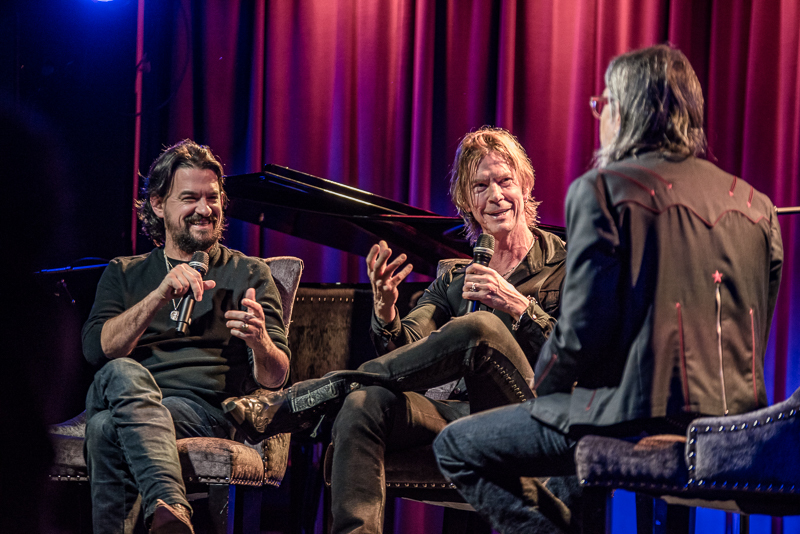 Each attendee received a signed poster featuring his new album art.